Let the apples soak in cold water for a few minutes, then scrub the skin. Chop the apples into quarters, not worrying about the core or seeds. Place them in a large pot. Put about an inch of water -no more, because the apples have a lot of water in them already. Cover the pot and cook the apples on low for about an hour. Ladle about half of the cooked apples into the ricer - situated over a bowl. Work the cooked apples until all you are left with is a small amount of skin and seeds in the ricer. Empty that into the garbage and do the other half the same way. 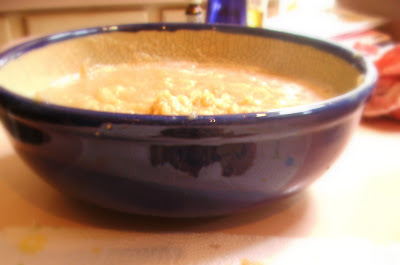 Once you have all of the applesauce in the bowl, add the sugar and cinnamon. Start with a 1/4cup of sugar and add the cinnamon. Taste it and then add more sugar/cinnamon to taste. Cover the bowl and refrigerate until you are ready to eat it. We like to eat it cold. In honor of my little sister's 1st wedding anniversary (which is tomorrow)- we cleaned our wedding rings. Super easy. Pour a small amount of plain ammonia into a small bowl. Drop your rings in and let them soak for a few minutes. Take a cleaning toothbrush and VERY gently brush the rings. Rinse off in cool water(plug the sink so they don't go down the drain). Your diamonds will sparkle like the day you were married! 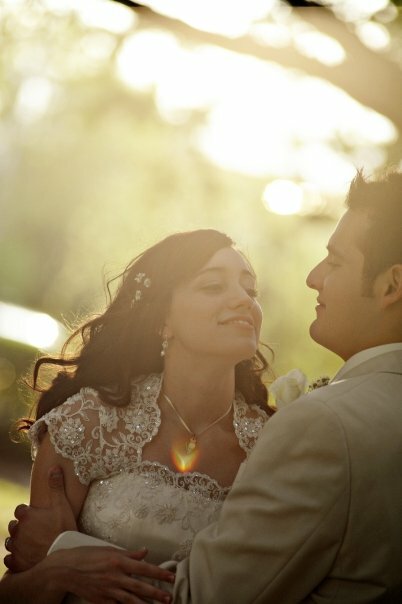 Happy Anniversary Joanna and Matt! 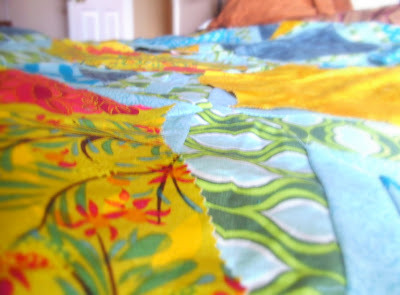 My long term project is a queen sized quilt for our master bedroom. I am still in the piecing stage, but I am hoping to finish it while I am here at mom's. She has a quilting machine, and I am going to try my hand at machine quilting. I used 4 fabrics from Anna's Good Folks Collection, 1 fabric from Heather Bailey's Nicey Jane, and 1 fabric, that I can't remember the name of right now.